XLIV, 221 p., 1 ill. (1 colored), 11,3 x 17,4 cm. With a translation from the French by Perihan Göcergi. 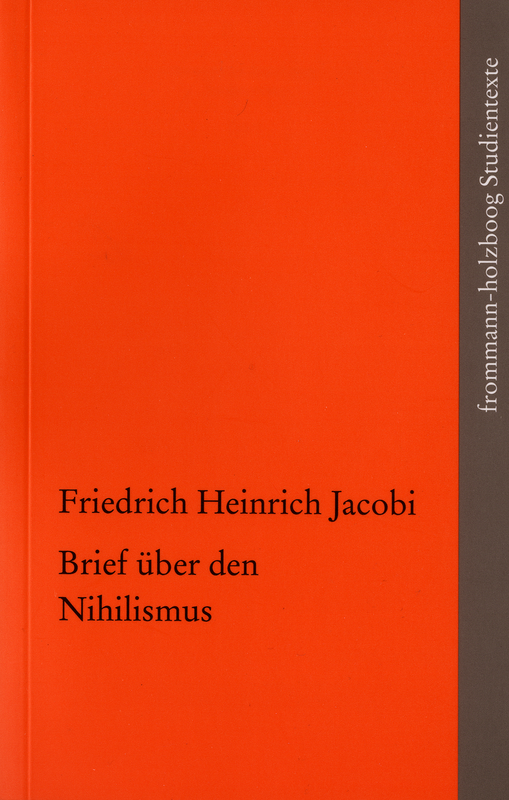 A small textbook of non-philosophy for philosophers and non-philosophers, this small work, written by Jacobi to Fichte, is an exception in the development of European nihilism. Written shortly before the beginning of the 19th century, in a context of polemics in the middle of the so-called atheism dispute, the letter is an engine of war against the entire Western philosophy, which is accused of having basic nihilistic tendencies. Above all it is a rousing call to listen to life itself again and to give back to the world the substance and the mystery of which it has been deprived due to various interception techniques of Western tradition which drain it of reality.